Super Bowl Sunday is almost here! For many people, gathering around the TV and watching the game is an annual tradition. Like most traditions, food is usually part of the celebration. If you are trying to watch your calorie intake, this can be challenging for you. Many snack foods are packed with empty calories. So, we’ve put together a few healthy options that you can whip up that will help you stay within your calorie allotment and still be part of the party! Hot wings are a normal menu item for Super Bowl parties. If you desire the buffalo taste, then this recipe might be for you! These tasty dippers will only cost you about 327 calories per serving! Click here to view the full recipe! These little spicy snacks are super popular with the football crowd. However, they are often packed full of calories. This version is baked instead of fried which saves a TON of calories. Take a look at the full recipe here! If you love seafood, then this recipe is for you. These fun little shrimp are super tasty and low in calories. This recipe calls for a marinade and then grilling the shrimp to lock in the flavor. Click here to see the full recipe! If you crave the crispy from chips and dip, then this alternative might work for you. Hummus is a delicious low-calorie dip that can be made ahead of the party. Pair it with fresh veggies (or pita chips) for a tasty alternative to the calorie filled potato chips! Click here for a DIY hummus recipe! Pop up some popcorn and shake on some chili powder for a spicy, crunchy snack! If spicy isn’t your thing, shake on some fresh parmesan cheese or even just some black pepper! 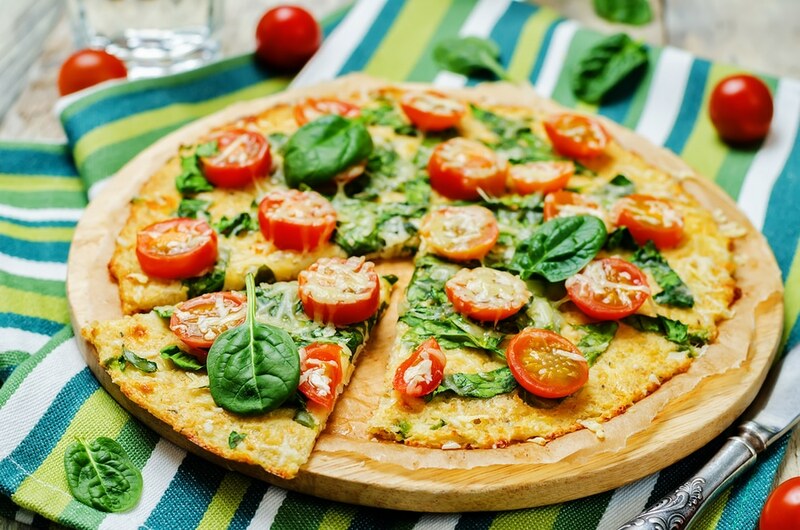 Have you tried cauliflower crust pizza? It is delicious and much more healthy than traditional pizza! Make your pizza crust out of steamed cauliflower and low calorie mozzarella cheese. Top it with the sauce and toppings of your choice, then enjoy! For more tips and weight loss help, contact the team at Mediplan Diet today!